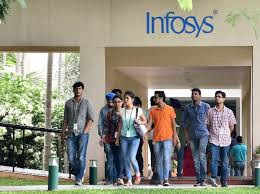 Infosys Finacle, part of EdgeVerve Systems, a product subsidiary of Infosys has announced the winners of the Infosys Finacle Client Innovation Awards for 2017. In its fourth year, the awards recognize banks that deliver breakthrough innovations in banking products, customer service, process design and distribution channels capitalizing on Finacle solutions. Over 160 nominations were received across eight categories such as Product Innovation, Channel Innovation, Customer Service Innovation, Process Innovation, Innovative Custom Components, Project Management, API based Innovation and Emerging Technologies-led Innovation. The nominations were evaluated on the following three criteria – degree of innovativeness (35% weightage), benefits reaped (40% weightage), and complexity of the initiative (25% weightage).